Thomson Medical supports all mothers in their journey to exclusively breastfeed their babies, especially in their first six months of life. 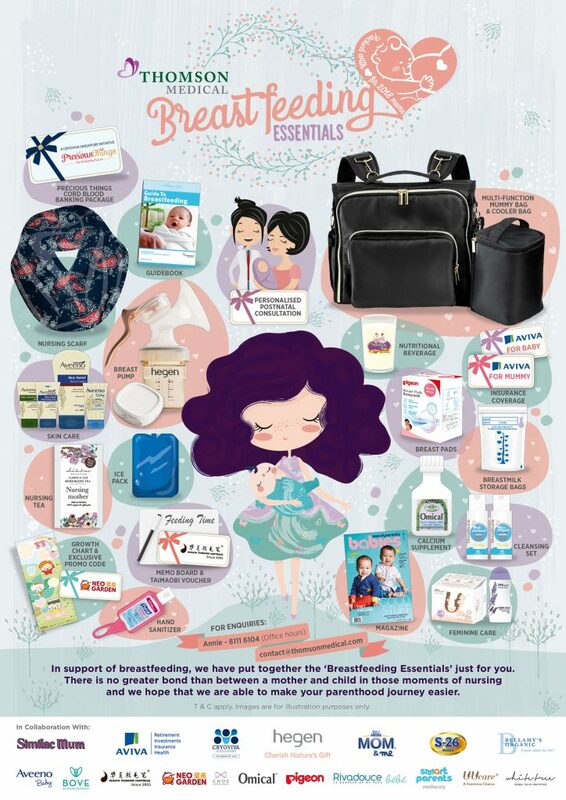 For all mummies delivering in 2018, we have specially put together the ‘Breastfeeding Essentials’, a stylish and versatile multi-function bag thoughtfully packed with useful items you will need during breastfeeding and beyond. We want to be there to accompany and encourage you through your breastfeeding moments from the start and even while you choose to breastfeed after returning to work. Share your breastfeeding journey with us!